A routine prisoner transfer on a rural highway ends with the bus upside-down in a ravine, the driver dead of a heart attack, and convicted murderer Ernie Luntz on the loose, his eyes fixed on the mountain range in the distance, over which lies his hometown of Ash Falls. 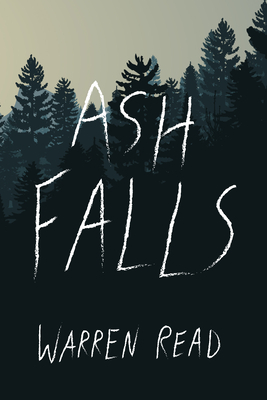 Set in a moss-draped, Pacific Northwest mountain town, Ash Falls is the story of a closely connected community both held together and torn apart by one man's single act of horrific violence. As the residents of Ash Falls--which include Ernie's ex-wife and teenage son--wait on edge, wondering if and when Ernie Luntz will reappear, they come to discover that they are held prisoner not by the killer in the woods outside their town, but by the chains of their own creation. A tension-filled, multi-character exploration of collapsed relationships, carefully guarded secrets and the psychological strain of living in a place that is at once both idyllic and crippling, Ash Falls is a picturesque and haunting novel that belongs beside the work of such classic contemporary American writers as Kent Haruf, Leif Enger, Smith Henderson and Ron Carlson. Warren Read is the author of a 2008 memoir, The Lyncher in Me (Borealis Books), about his discovery that his great-grandfather had incited a lynching in 1920. His fiction has been published in Hot Metal Bridge, Mud Season Review, Sliver of Stone, Inklette, Switchback and The Drowning Gull. In addition, he has had two short plays directed and produced by Tony winner Dinah Manoff. Warren earned his MFA from the Rainier Writing Workshop at Pacific Lutheran University. Warren Read is the author of a memoir, "The Lyncher in Me" (2008, Borealis Books) about how his great-grandfather incited a riot that led to the lynching of three black men. His fiction has been published in Hot Metal Bridge, Mud Season Review, Inklette and Switchback Magazine.